For years, the key to the Steelers defense was its ability to stop the run. That was absent last season, especially in their losses, including a defeat to the Jacksonville Jaguars in the playoffs. The Steelers have to get back to being a dominant run defense, and they seem intent on doing just that. Defensive coordinator Keith Butler said there will be a renewed emphasis on tackling in training camp. If the Steelers can get back to stopping the run with effectiveness, the defense could take some big strides as a whole this fall. 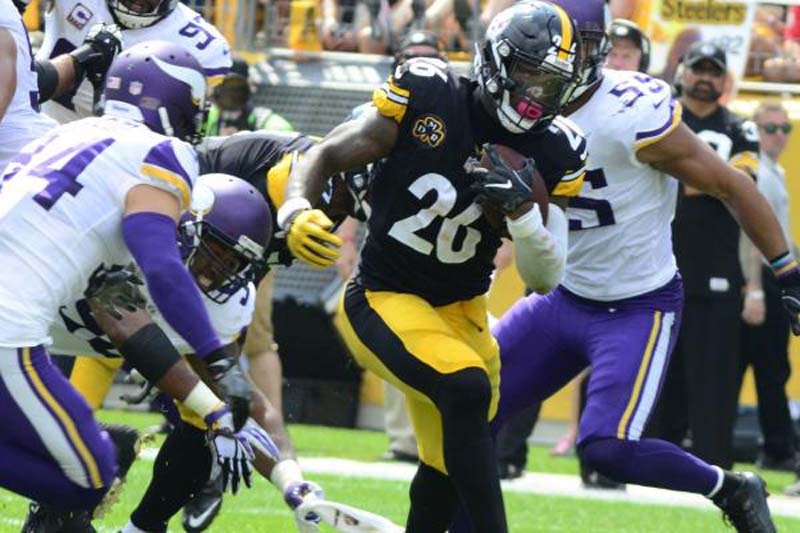 It appears the Steelers are going to go through an entire training camp and preseason without All-Pro running back Le'Veon Bell for a second consecutive year. The Steelers and Bell could not come to terms on a long-term agreement before the July 16 deadline, so he will play on the franchise tag again. Bell got off to a slow start last season after skipping the preseason. He did not rush for 100 yards in the first three games and only scored once in that span. This summer the Steelers have to develop a better plan if Bell skips camp again. That could involve using backup James Conner or another running back more early in the season. After 11 seasons as receivers and then quarterbacks coach, Randy Fichtner will finally get his chance to run the Steelers offense. He takes over for Todd Haley, whose contract was not renewed after last season. Unlike the rocky relationship that Haley had with veteran quarterback Ben Roethlisberger, Fichtner gets along very well with his signal-caller. The Steelers wanted continuity in the transition to their new coordinator, so Fichtner won't be changing much with the playbook. His biggest task will be improving the running game. Despite the presence of Le'Veon Bell, the Steelers finished last season 25th in the NFL in rushing yards per attempt (3.8). If Fichtner can help Bell become more effective as a runner it will open up the passing game even more. The Steelers must find a replacement for Pro Bowl inside linebacker Ryan Shazier, who will miss the 2018 season while recovering from spinal surgery. Tyler Matakevich, who has never started an NFL game, spent the spring with the first-team defense. He will be in a competition with veteran Jonathan Bostic, the veteran free agent who signed with the Steelers in March. Bostic has more starting experience -- 32 starts over his first four seasons in the league -- but the Steelers are giving Matakevich first crack at the job. Matakevich injured his shoulder last December in the same game Shazier was injured and was relegated to special-teams duty for the remainder of the season. He underwent shoulder surgery and did not miss a practice in the spring.